In today's modern times, I still recognize that the past is interrelated to the present and what we are today is the result of what has transpired from the past, hence our artistic abilities and cultural heritage is something that should be preserved and passed on from generation to generation. The Philippine culture has bestowed us a glimpse of the glorious past through various artistic rendition that makes us feel the unity and camaraderie of being a Filipino. It is in our culture to be creative and artistic as a means of emotional expression. It is something that bridge that gap between loyalty and colonial mentality. It creates solidarity as a nation and an everlasting bliss in the hearts of Filipinos living throughout the world. To enliven the Philippine culture and arts, the Cultural Center of the Philippines created the Pasinaya festival to fulfill the desires and passion of Filipino artists and cultural enthusiasts in various genre. "Pasinaya" is a Filipino term which means a formal opening. This year's theme gives tribute to the influence of Chinese arts and culture in our lives as Filipinos. The Chinese has long been part of the Philippine history and culture and their massive influence remained until the present times. It was a great opportunity to have witnessed and embraced the Filipino and Chinese arts and culture through the Pasinaya festival. Dubbed as the largest national multi-arts festival, the 'Pasinaya' presented a memorable cultural presentations and arts exhibit in almost all of the CCP venue. 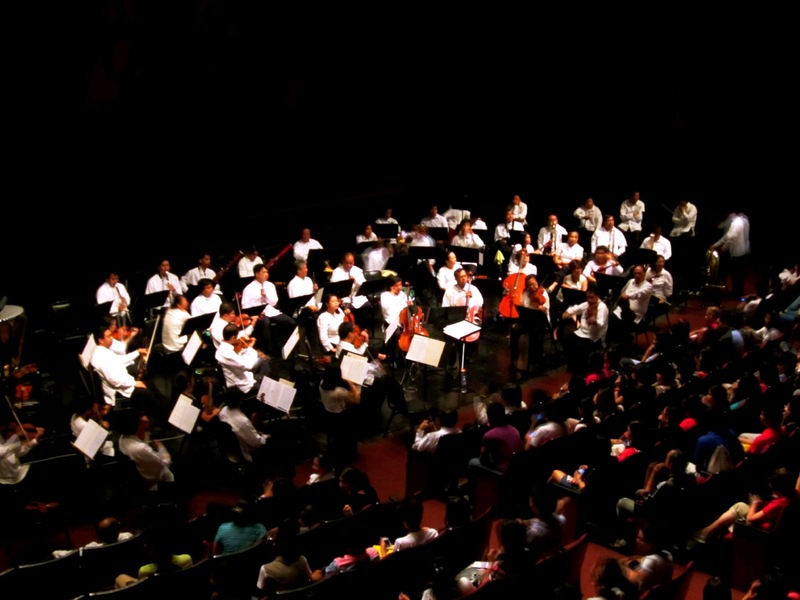 The main theater lobby was full of visitors mostly students and professors from different schools patiently waiting for the next event at the 'Tanghalang Nicanor Abelardo' where the resident companies of the CCP is doing their shows, including the Philippine Madrigal Singers; The Bayanihan Philippine National Folk Dance Company; Ballet Philippines and the Philippine Philharmonic Orchestra. 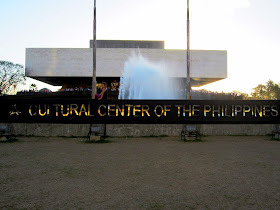 There were several presentation and activity in genres' like dance, theater, music, films, visual arts and exhibits and was presented by thousands of Filipino artists in different regions of the country. There were variety shows like lion dance, fan dance, and modern hip-hop dance along the closed street venue of the CCP. There were also workshops in dance, music and stage drama for children and adults to learn and enhance their skills. In the main theater ramp, several groups presented folk dances. Their graceful interpretation in colorful costumes has entertained the crowd of both local and foreign audience. It was a great moment to watch the young performers across the country showcasing their dance skills in classical Filipino music. I remember when I was in elementary up to college that I was like them being a member of the school dance troupe and presenting different folk dances on stage. The joy felt while performing before the audience is quite reminiscing and the reason why I patronize Filipino cultural presentation and activities. In the main theater of 'Tanghalang Nicanor Aberlardo' is where I spent most of the time to witness the performances of the resident companies. I was delighted to watch the 'Bayanihan Cultural Dance Company' when they presented beautiful folk dances. They have presented the 'Pandango sa Ilaw and 'Wasiwas', both popular Philippine folk dance that made me proud of being a former folk dancer who happens to have presented those two dances way back high school and college. The Philippine folk dance is truly an epitome of grace, grandeur and refined ways that is becoming obsolete in today's modern living. The presentation and rendition of the Philippine Madrigal Singers is truly a soulful singing that captures the emotions of the audience. Their company is undeniably one of the world's best and most awarded chorale. It has won prestigious awards and recognition from international chorale competition.The 'Madz' as they call it sings in a semi-circle without the aid of a conductor. Their soft and angelic voices deserves applause from the audience regardless of musical genre; from classical and folkloric music to a contemporary music. 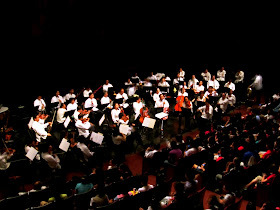 The Philippine Philharmonic Orchestra rendered an enchanting melody of some classical symphonies and even modern popular Filipino music under the baton of their music director Maestro Oliver Ochanine. They received numerous applause from the audience who appreciates what the authentic music should be. Their mastery in musical instruments is majestic and producing a rhythmic sounds that is stunning. My regard for classical music and symphonies will remain as my appreciation for this artistic musical masterpiece. The 'Pasinaya Festival 2013' brought lessons and new learning. Our culture is diverse and rich —it is a heritage. Thus, there is a need to preserve and protect as well as to love, care and respect. 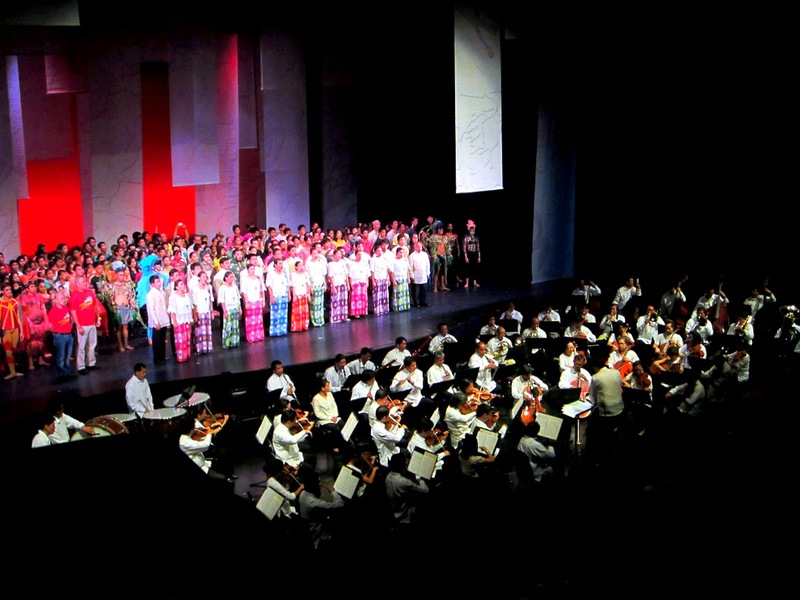 Our arts and culture is what we are as a Filipino people and it is what we ought to show to the world.